Today I’m going to be talking about graphic design and blogging. So if you normally come here for recipes, DIY and crafts… I’ll be back later in the week with all that good stuff. But for now, I want to help out my fellow bloggers, aspiring bloggers and Etsy sellers. 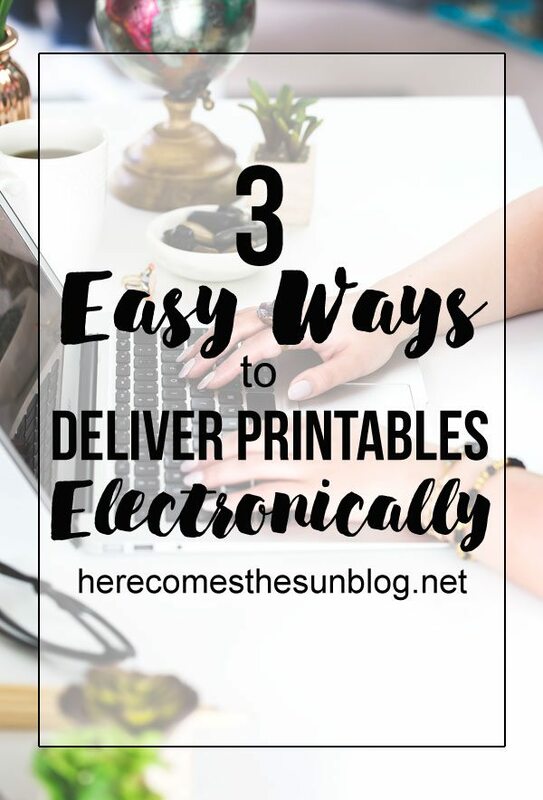 As you may know, I do a lot of graphic design and I’ve seen the question come up over and over “What is the easiest way to deliver printables to my readers?” I’ve got the answer for you today. 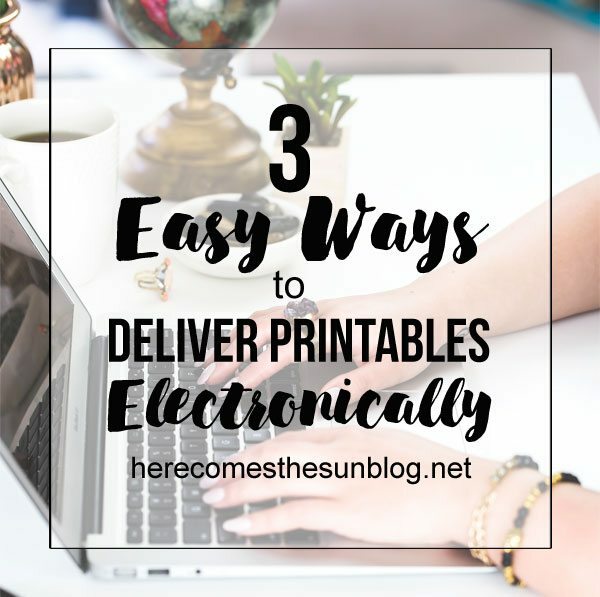 The easiest way to deliver printables to your readers (if you have a blog) is directly through your blog. To do this, first you have to create your printable. If you need help on creating printables, I teach you in this post. I also have written an entire book on how to create graphics that you can check out here. After your printable is created, save it to your computer as a PDF and then upload it to your WordPress dashboard. Create a link in your blog post that directs people to the printable. The second way that you can deliver printables is through your email provider. I use ConvertKit to deliver most of the printables that you see on my blog. I highly recommend ConvertKit. It’s super user friendly and you can create unlimited forms that funnel people into your email list. To deliver your printables via ConvertKit, you need to create a form. I’ll use my Hand Lettering Practice Sheet as an example. Under the “Settings” option, click on “Incentive Email”. If you scroll to the bottom, there is an option to send your subscribers to a thank you page or to provide an incentive download. Choose incentive download and you will be able to upload your printable file. Next, create a text link in your blog post saying something like “DOWNLOAD HERE” and link it to the URL of the ConvertKit form you just created. To get the URL, view your form and copy and paste the URL. Now, when people click on the link in your blog post, they will be taken directly to your form to enter their email. Once they have subscribed, they will automatically be sent a link to download your printable. I run an Etsy Shop where I sell my digital designs. My favorite types of printables to design are instant downloads, meaning that there is no customization and my client gets the printable right away after payment is cleared. I create the printable once, upload it and then watch my sales roll in as people download it over and over without any extra work from me. I also sell items that are customized such as invitations. The process to deliver these printables through Etsy is slightly different. After I have finalized the design per the client’s requests, I save the file to my computer and then upload the file to DropBox. DropBox will then provide a link that you can use to share the file. Under the “Open Orders” section of Etsy, I click on “Mark as Shipped” and am able to send a note to the buyer. I include the DropBox link in this note and the buyer is able to access their file. PIN THIS SO YOU DON’T FORGET! Thank you – this is really helpful!